by Dave from The Longest Way Home ~ March 7th, 2011. Updated on September 25th, 2013. Published in: Travel blog » How to guides ... » Sabah (Malaysian Borneo). 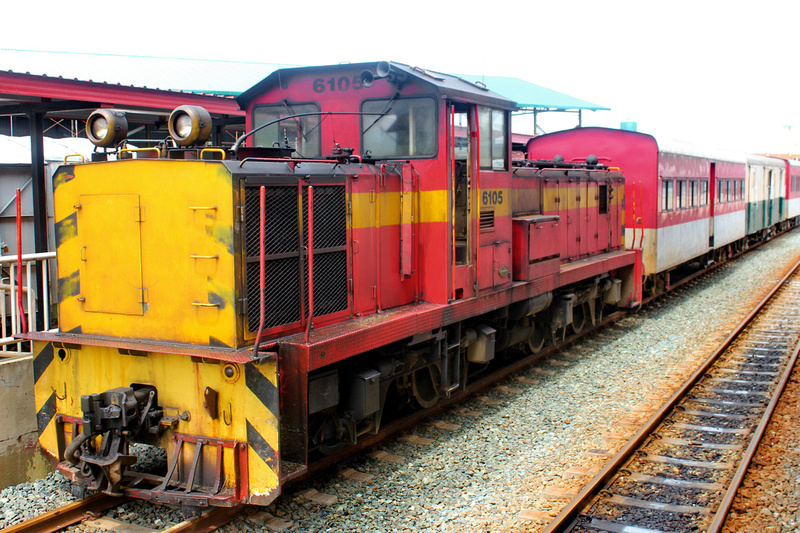 The railway in Sabah, Borneo has a long history dating back to 1896 when it was constructed to transport tobacco from Borneo’s interior to the coast for shipping. Before coming to Borneo I could not get any good information about the railway line nor train. Some said it was working, others said it had been closed down since 2007. Others again said it was still under repair. What’s worse, is that conflicting information online mentioned an old steam-train was also operational in the area … maybe. The website to the steam train looked more like a holiday resort than anything to do with train information. 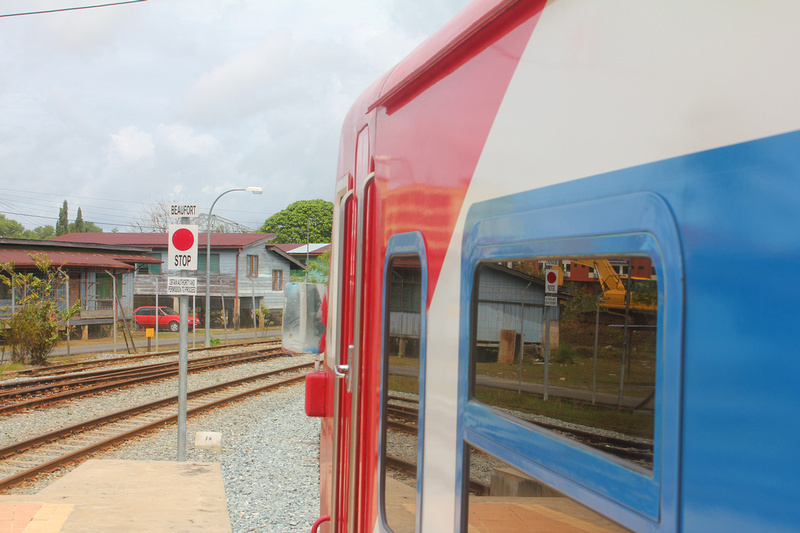 Even when I first arrived people told me the train in Kota Kinabalu was not working. So the only thing to do, is find out for yourself! 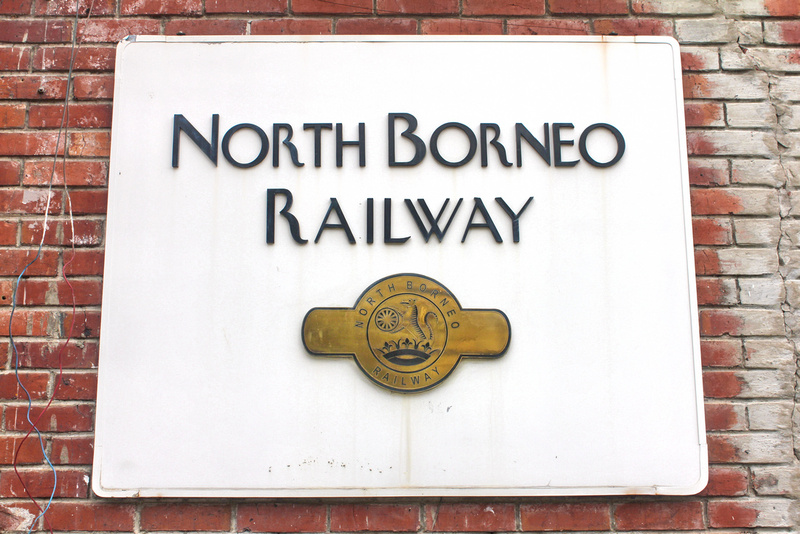 The North Borneo Railway reopened in February 2011! After a near five year refitting, new trains, and repaired lines the old historic railway route is now open for business once again. 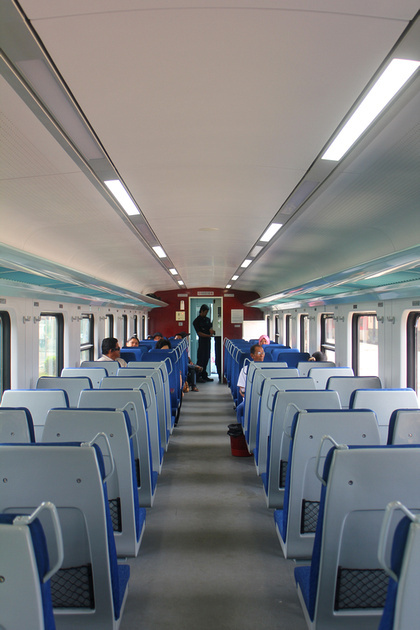 The train’s relaunching consisted of two free weeks of train travel for everyone. The old route was from Jesselton (Kota Kinabalu) to Beaufort, then onto Tenom. Again, even when I asked at the station, I was told there was no longer a route to Tenom. But, only when I reached Beaufort, did I find out there is still a train to Tenom! Sometimes no matter how many people you ask, you’ve just got to go out there and find out for yourself. I do enjoy train travel, but I am not a trainspotter. Nor do I jump up and down at the sight of one. However, there is something special about taking this train in Borneo. It’s called slowing the world down with a little bit of living history. Ticket in hand I was greeted by a bevy of station staff. All smiling widely and proudly as they welcomed me. Far from crowded, the little station was clean and the trains spotless. The station master is equipped with a whistle, and a walkie-talkie, plus a brand new uniform. Again, all smiles, lots of waves and very welcoming. Promptly at 7.45 am we took off with the sound of a modern train horn blaring loudly in an old school manner. Inside the new carriage everything was spotless. Cool air flowed from air-conditioning, and little maps showed the route above neat little coat hooks. That familiar gentle feeling of a train clickity clacking along tracks filled the carriage as we slowly passed by Kota Kinabalu airport. Everything was moving slowly, as perhaps it should on a train journey like this. Inside a group of Malaysian women excitedly looked out the window. A new experience for them, or an old one renewed. We drew slowly into our first stop at Putatan. Whistles blew, and outside a handful of people boarded. Sitting down opposite me a Malaysian man gave me a big wave, and then a thumbs up as he looked out the window. There seemed to be a pride about the fact the train was running again. Outside a little bit of that magic of old school train travel was happening. This continued on through all the little towns we passed through. Coupled with small boys trying to out run the slow train. Then at small markets people all stopped their shopping to look up and smile as the train trundled by. Again, big smiles and lots of waves from young and old alike. It made the train journey heartwarming. This is no modern-day speedy train, though it does mention a top speed of 100kmph on the side of the engine. Neither is it an adrenaline packed adventure though the heartland of Borneo. You will see the sea, small towns, a large construction area, some deforestation, a market or two and get lots of waves from local people. Eight stops later, and you’ll arrive in the small historic old town of Beaufort. I’ll leave my time in Beaufort for another occasion. Meanwhile here is the train schedule, and details on how to get to the railway station in Kota Kinabalu, Sabah; plus a final note. 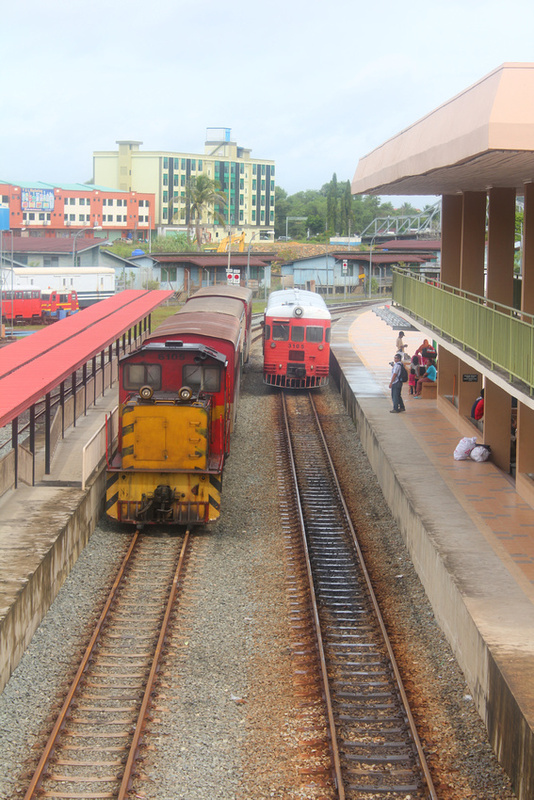 The old Beaufort to Tenom train – Still running today! Please note there are often disruptions to this rail service due to damage to tracks. My advice is to call the station to ensure the time table has not changed recently. I’ll update this timetable should repairs be made and the service resume. To get back to Wawasan bus terminal from the railway station – cross the main road to the other side and walk down the road to a small shoulder along the road and wait for a minivan going directly to Wawasan (be careful crossing the road as traffic moves very quickly here.) – note to Kota Kinabalu city management – Build a foot bridge!! Pulling into Beaufort station you can’t help but notice the old red train on the opposite side of the tracks. At first I thought it was the old KK Beaufort train, left to rust away. But, no. 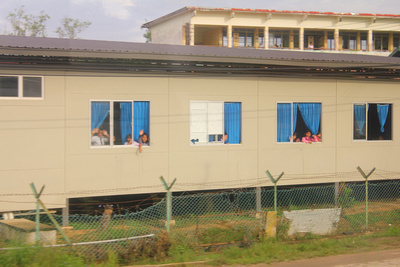 This is the train to Tenom, and it’s still operational! The only problem is, it only leaves once a day in the morning at 07.50. So, to take the train to Tenom, you must stay the night in Beaufort. And, to take the train back from Tenom to Beaufort you’ll need to spend the night in Tenom as it boards at 07.30. For confirmation on daily train schedules or maintenance work delays be sure to give the train station a call. Is the Sabah railway a tourist attraction? Well, it depends what you like. If you like trains, then of course it will be for you. If not, and you have half a day to spare and want to see another part of Borneo then this might be for you. It’s a slow 2 hour and 15 minute journey, hopefully the little kids will still be waving as it passes by (wave back!). There’s food at both Kota Kinabalu station, and in Beaufort station (just outside & across the road). So yes, it is something different to do in Kota Kinabalu Sabah should you have some free time. Or, if you want to take a historic rail trip to some of the older towns in Borneo like Beaufort and Tenom. A) There is also an old style tourist train that claims to run this route as well (Sutera Harbour). However it’s frequently out of commission, and has been an on and off service for many years. The cost of this “tourist” train is also a great deal more than the local North Borneo Railway mentioned in this article. B) My advice for anyone who wants to take a train ride from Kota Kinabalu to Beaufort, or even Tenom is to call ahead and make sure this service is running on the day you want to go. Throughout 2012 there have been reports of track repairs hampering the daily service. So call ahead to make sure it’s operational! Need a hotel room in Kota Kinabalu? I recommend you try my own hotel search for Kota Kinabalu. The best online rates guaranteed! Anyone for Billiards in Beaufort? It’s the end of July 2013 and next month it’s Kota Kinabalu again for me, could anyone tell me if the train is still running at Beaufort to Tenom would appreciate a reply.